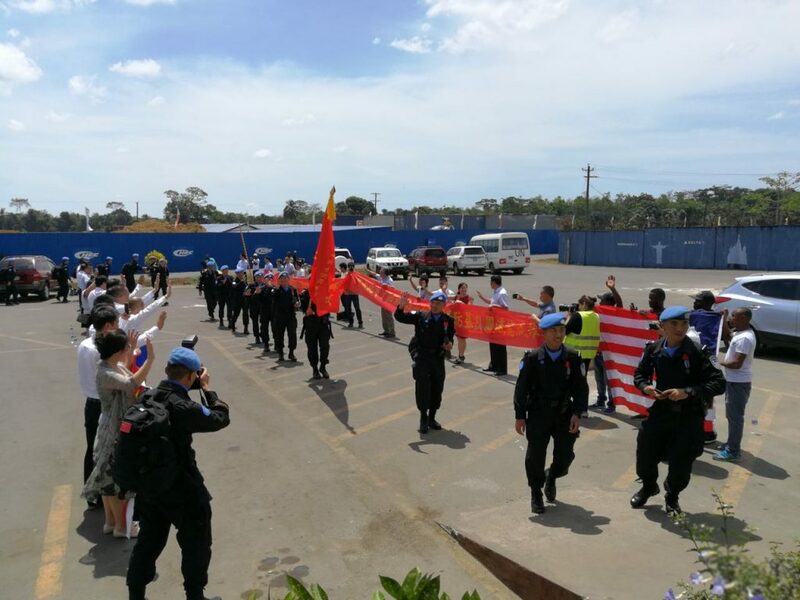 The 5th China Formed Police Unit to UNMIL waves goodbye as members wind down their mission in Liberia. As part of its continuing effort to build trade with Africa, China – in 2005 at the 5th Forum on China-Africa Cooperation (FOCAC V) Conference in Beijing – launched the China Africa Cooperative Partnership for Peace and Security. The initiative is designed to provide financial assistance and other means of support to Africa nations as they attempt to improve peace, security and economic development on the continent. 13 years later at FOCAC 2018, peace and security cooperation remains one of the key pillars of China-African relations. 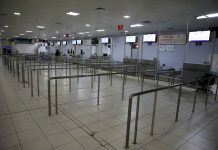 Despite its official “non-interference” policy, China has been a key international partner helping African governments maintain peace within their borders. 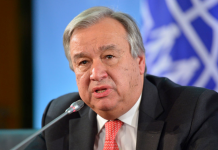 As Europe and the United States decrease their respective roles, China is actually increasing its responsibility in United Nations peacekeeping efforts in Africa. The UN says on average China currently contributes more troops to peacekeeping missions than any other permanent member of the Security Council. 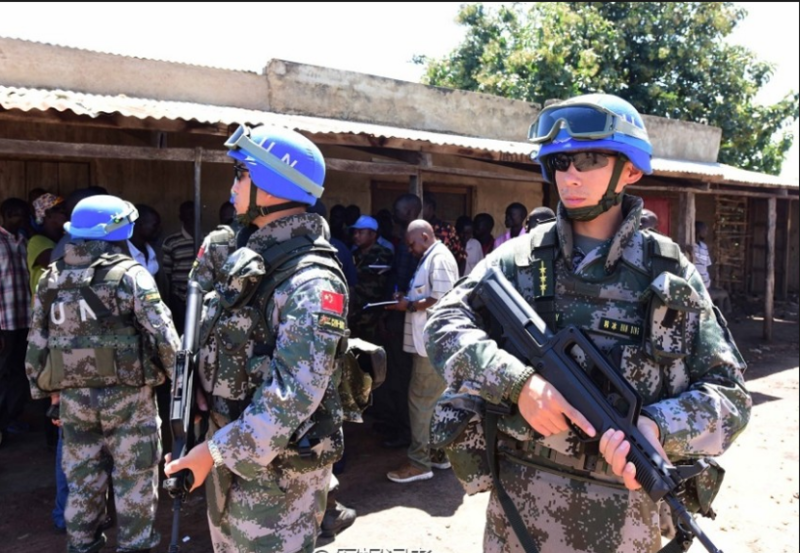 Roughly 2500 Chinese peacekeepers were deployed in 2017 to missions South Sudan, Mali, The Democratic Republic on Congo and other African countries. In February 2018 China ended a 15-year peacekeeping mission in Liberia. The 5th Formed China Police Unit to United Nations Mission in Liberia was the final Chinese unit to be deployed to the West Africa nation. 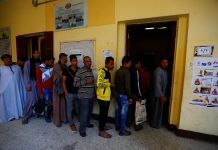 The UN says the Chinese peacekeepers were a major reason why Liberia was able to hold an election without the unrest that unfortunately accompanies other votes in Africa. 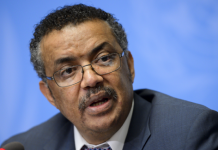 The unit received high praise from not only from the United Nations but from Liberian leaders and citizens for providing medical assistance, cultural exchanges and of course, peace and security. Liberian police officers who trained with members of the FPU say China’s peacekeeping presence in Liberia and throughout Africa further shows China is a real friend to Africa and is committed to helping Africa achieve peace, security and economic strength.